The British driver endured tremendous pressure from Formula E's top talent during the closing stages of the race. 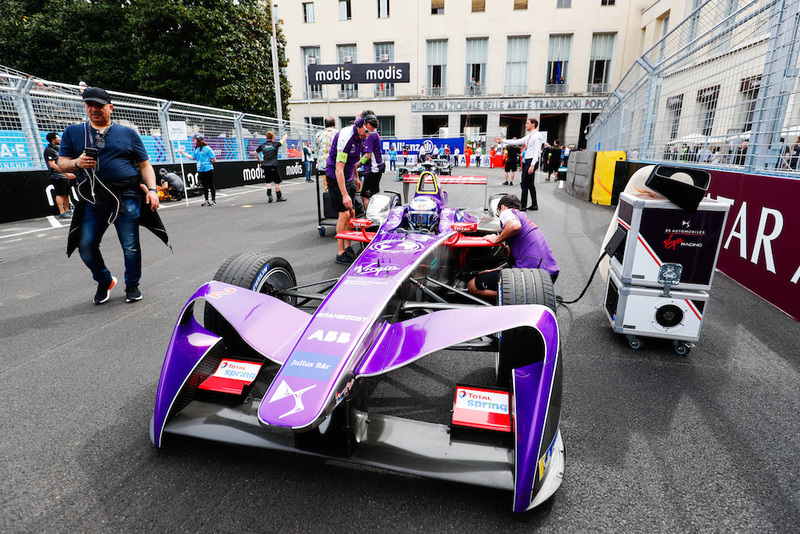 Sam Bird and the DS Virgin Racing Team made the best of their equipment, and others' bad luck, to emerge victorious at the first-ever FIA Formula E Rome E-Prix. 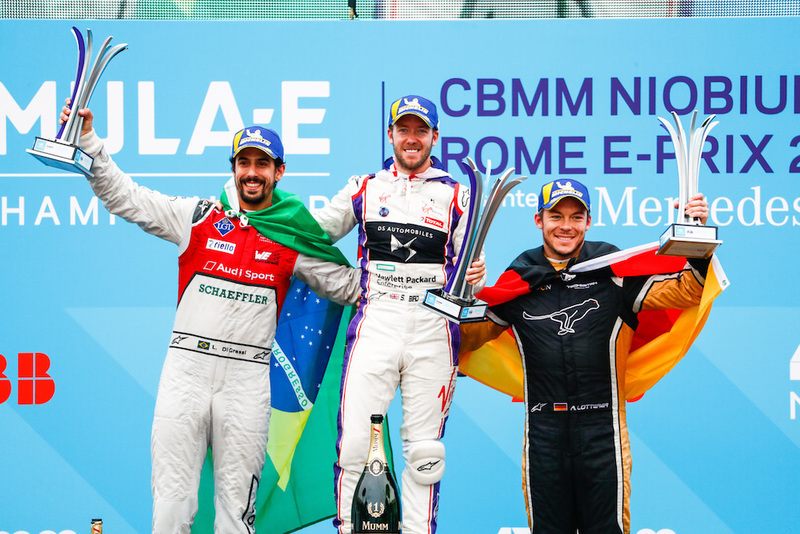 Audi Sport's Lucas di Grassi and Techeetah's Andre Lotterer followed in second and third place, respectively. The British driver showed his enthusiasm after the race as he jumped to the top step of the podium to celebrate his well-deserved victory. Despite starting in second place, behind Felix Rosenquist's Mahindra, it wasn't an easy race for Bird who had to manage his power just right and avoid the chaos around him in order to make it to the end. The beginning stages of the race were somewhat uneventful for most of the front-runners, as Rosenquist expanded his lead to 1.2 seconds from Bird in second and Panasonic Jaguar Racing's Mitch Evans in third. It wasn't until the pit stop sequences began around lap 16 that havoc spread throughout the street course, with a massive four-car pileup that saw Oliver Turvey, Nick Heidfeld, Luca Filippi and Edoardo Mortara get tangled up. The always nerve-wracking mid-race car swap caught two of the series' top names by surprise. The lucky driver of the day was di Grassi, who escaped without a penalty after being questioned by the race stewards on "assistance" he received from a crew member while buckling his seat belts. 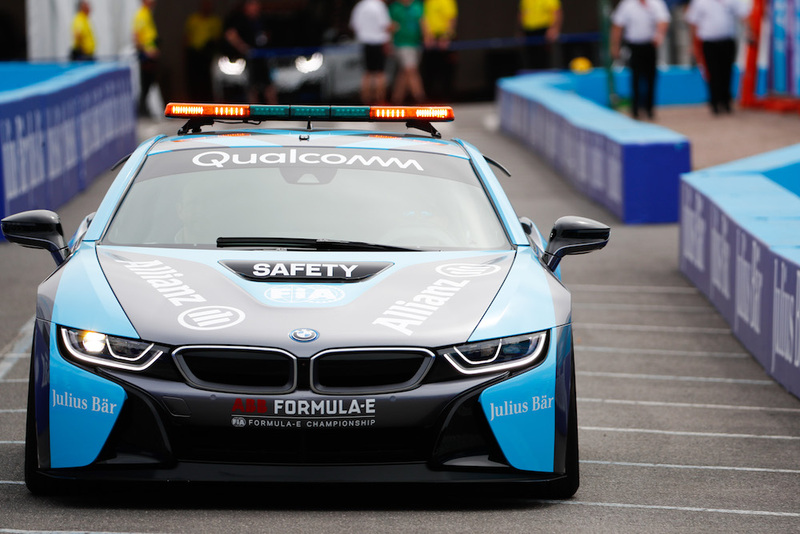 Meanwhile, it was reigning Formula E champion Nelson Piquet Jr. who made a break for the exit before realizing his seatbelts weren't fastened properly, sealing his fate with the stewards. It wasn't until the closing stages of the race, when Rosenqvist crashed out after hitting a curb, that Bird inherited the lead and came under extreme pressure by Evans and Lotterer. The Brit remained surprisingly cool despite several passing attempts from his adversaries under heavy braking, making his victory on the streets of Rome even sweeter. The sold-out event took place on the streets near some of the country's most famous ruins of the Roman empire. 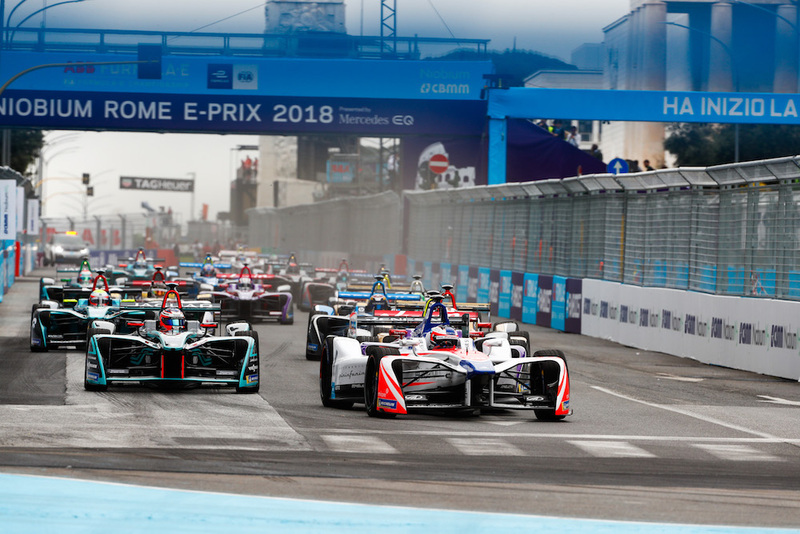 At 1.75 miles in length and with 21 corners of varying difficulties, the inaugural E-Prix isn't only one of the most challenging tracks for the drivers, but it's also the second-longest track on the Formula E calendar. The Rome E-Prix also marks the first of several European races that Mercedes-Benz's new EQ brand will sponsor this year. Nico Rosberg will take to the streets of Berlin at the wheel of Formula E's all-new Gen-2 race car. More than 10 manufacturers will jump on the electric racing wagon for the sixth season of Formula E.
Dubbed the Jaguar I-Type 3, the electric racer will be piloted by Nelson Piquet Jr. and Mitch Evans.